Expertly hand-crafted, the Haywood Table Lamp by Heathfield & Co features a rippled effect glass design in either Smoke or Clear options. 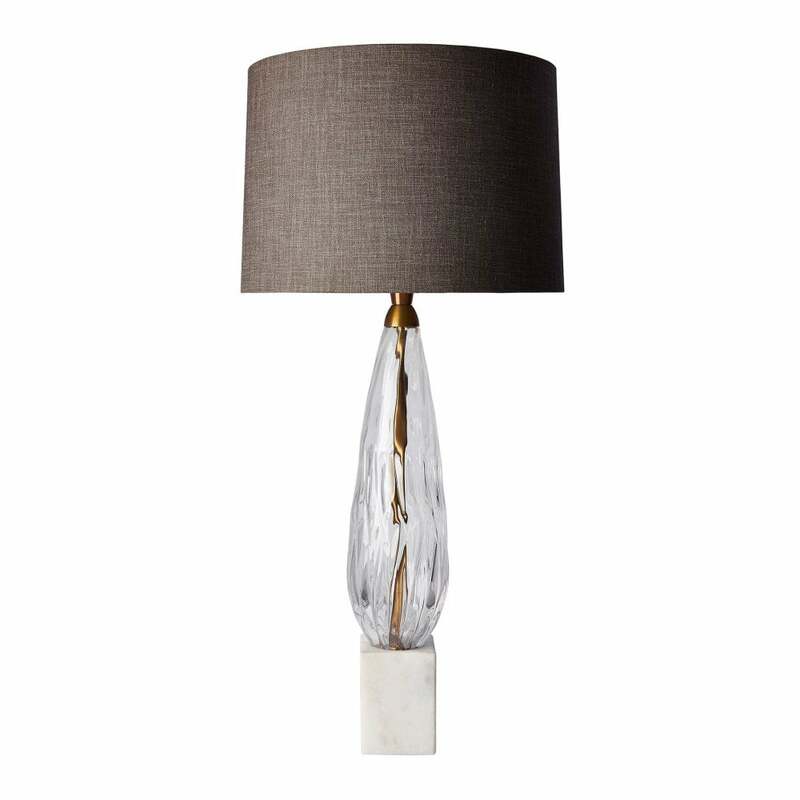 Complemented by antique brass detailing and a luxurious quartz base, this timeless lamp will make an elegant addition to a bedroom or hallway. The teardrop shape is mouth-blown to create a unique form each time. Style with tonal hues of soft mink, dove grey and blush pink for a calming and serene interior scheme. Shown here with an oyster glaze linen shade, a wide variety of colour and fabric choices are available. Make an enquiry for more information.